With the first summer of the Backyard Hens demonstration project successfully completed, it’s time for a cluckingly brilliant update. 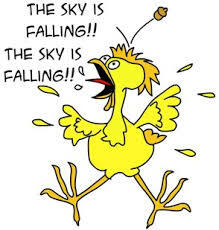 To begin, the hysterical concerns from certain politicians and their resident coven of followers about backyard hens wiping out the businesses of the fowl farmers in Caledon, spreading avian flu across the Region of Peel, and infecting Caledon chicken lovers with salmonella turned out to be FALSE. The salmonella bacteria that avian species carry in their guts for digestion was defeated by a new medical miracle called … hand washing! So far this year in North America, Zero – O – deaths from salmonella infections, although a few dozen people came down sick after eating President’s Choice chicken meat products. Our hens and their organic, free-run eggs are in the clear. Much like the fears about “hydrogen bombs” at the Canadian Tire Distribution Centre, and the concept of a “freight village” destroying the rustic atmosphere of the quaint rurban town of Bolton, the hysteria turned out to be classic fear mongering spread by ignorance. It should be noted however, that in 2018 the bacteria that we mammals carry in our intestinal flora, E.coli, killed 5 people in the U.S. and sickened over 200. Canada only reported eight sick people in all and no deaths. Maybe we should wash our hands more after a visit to the throne room, and not drink water downstream from manure piles. On a healthier and happier note, we now have two demonstration flocks – our four prolific Golden Girls, and our four Canadian Heritage Chanteclers. Those eight hens laid organic Omega 3 enriched free-run eggs every day and weathered both heat waves and torrential downpours. From May through to the end of August those girls produced over 720 eggs – that’s 60 dozen healthy, home grown eggs! In an attempt to educate this same politician, I invited her to the Farm to meet the Golden Girls. “Are they dirty?” she asked. I sighed, “They’re chickens. They bathe in dust. WTC? !” So much education to complete, so little time. Losing patience. Do NOT re-elect! For the education of the rest of our citizens, both demonstration coops will be open for visiting at the Albion Hills Community Farm Honey Garlic Festival on Saturday, September 29, 2018 from 12:00 to 5:00. The demonstration coops and runs, which conform precisely to Caledon’s Backyard Hen By-law, will be dedicated that day to the Krick Family, whose daughters and their Christmas chickens were the inspiration for the by-law. Come out and meet Clovis and Bee, our Honey Garlic Festival Mascots, and the “Chicken Whisperer” who will be introducing you to the Golden Girls and the Chanteclers. It’s eggsactly the kind of thing to do on a fall weekend in Caledon – celebrating our right to grow local food and celebrate our deep and abiding connection to agriculture. Always look forward to receiving and reading your blog. Thanks for all the smiles and interesting information. Just wish you were closer (we’re in Munster Ontario – Ottawa), would have loved to have been able to visit your ‘Albion Hills Community Farm Honey Garlic Festival’.